Distrikt Islington Village will be a collection of stacked townhouses. Units will be a mix of one bedroom, two bedroom and three bedrooms. The estimated completion date for Distrikt Islington Village Towns is still unknown. 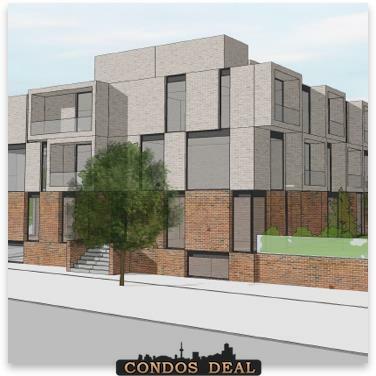 Other projects by Distrikt Developments: Trafalgar & Dundas Condos and Dundas & Trailside Condos.